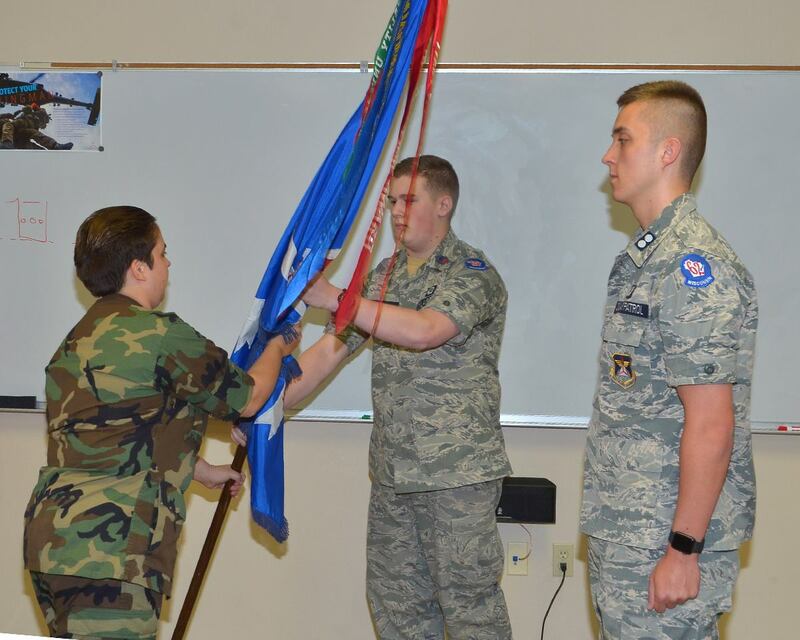 Cadet First Lieutenant (C/1st Lt) Matthew Niemi accepted the position as Cadet Commander of Fox Cities Composite Squadron – Civil Air Patrol, during a Cadet Change of Command Ceremony on May 22, 2018. C/1st Lt Niemi has been an active member of Fox Cities Composite Squadron since 2013. Niemi previously held the position as Cadet Deputy Commander and replaces Cadet Captain William Voelker. As Cadet Commander, C/1st Lt Niemi is responsible for overseeing the growth of the squadrons 52 cadet members. Assisting with the administration of the Cadet Program is a huge responsibility that Phase III & IV cadets strive to achieve. Fox Cities Composite Squadron is currently the largest squadron in the state of Wisconsin. Our Cadets and Officers (adult members) actively train in all three of the Civil Air Patrol missions; emergency services/disaster relief, aerospace education, and cadet programs. The Cadet Program focuses on advanced leadership training, aerospace education – including orientation flights, and character development. The program is open to teenage girls and boys between the ages of 12-18.